We are buzzing at Two Chimps HQ because we are now the proud owners of an Award Winning Coffee Website. Can we getta Woohoo?! It all began with our web team receiving a ‘One Page Love Award’ for our coffee holding page back in September 2016. As a result, we were pretty chuffed with our designers, but completely unaware as to what would happen next. So, then it happened – the awesome chaps at Herdl announced that our main coffee website had been awarded Site of the Day by CSS Winner. This prestigious award is well worth shouting about and it is happy dances all round. CSS Winner is a unique global platform who award and showcase the best websites, designers, developers and agencies. For a ‘Site of the day’ (SOTD) award to be given, a website must show outstanding web design and a high level of visual creativity and great usability. It won SOTD on the 11th August 2017 and was also labelled site of the day on BEST CSS, Design Nominees, CSS Light, CSS Nectar and CSS Awards. Our website has also received an ‘honourable mention’ from Awwwards.com by receiving a massive 104 votes from users. This award recognizes the talent and effort of the very best web designers in the world – pretty cool huh! These guys voted the website Site Of The Day on Friday 22nd September. There is no stopping them though and so their next challenge is to win a Special Kudos Award with CSS Design Awards. We would love your vote and we are sure the guys at Herdl would be chuffed too. 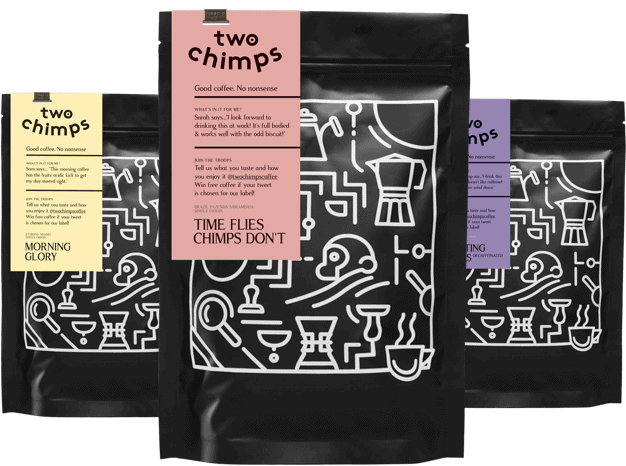 You’d certainly get the chimps swinging with joy around the roastery so CLICK TO VOTE now. So, if you want to have a goosey’s around our Award Winning Coffee Website – start with the homepage.